Bengaluru FC today signed Spaniards Alvaro Rubio and Juan Gonzalez as coach Albert Roca completed his roster of foreigners for the Blues this season. Rubio (37) is a highly-experienced midfielder who spent ten seasons at Spanish club Real Valladolid (2006-2016) during which he played close to 300 games and captained the side that kept shuffling between La Liga and Segunda Division. Gonzalez (29), on the other hand, is a defender who spent two seasons each with the B teams of Deportivo and Real Madrid before moving to German club Fortuna Dusseldorf where he spent three seasons. "The three seasons that he spent, he played for Bundesliga and second division. He last played for American side Rayo OKC," BFC said in a statement here. 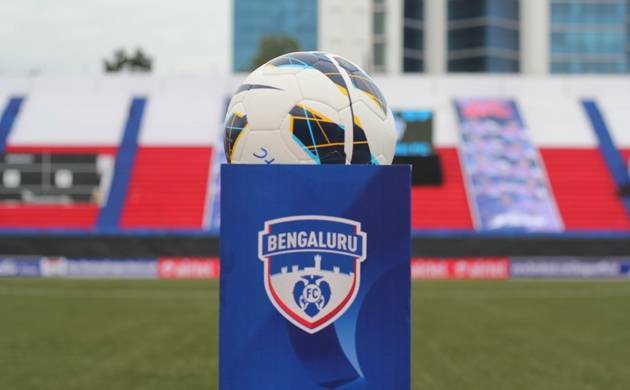 The duo complete Bengaluru's set of four foreigners after the club announced it had signed Australian midfielder Cameron Watson on August six, BFC said. Watson, Rubio and Gonzalez have arrived in the city yesterday and took part in a session with the team today morning, the club said. While Gonzalez has signed a contract that keeps him with the Blues till the end of the season, Rubio’s term lasts till the end of the year, BFC said. "I am happy to have signed for Bengaluru FC. We trained with the team today and everyone is very welcoming. The aim is to try and understand the systems as soon as possible and I would like to use my experience to help the team to success,"
Rubio said, who also made appearances for the Spanish national U-20 and U-21 sides. Gonzalez, who even had a stint with Hungarian club Ujpest FC said he was keen to settle in soon. "I've come here to experience something new and I am confident I will be able to contribute to the team's success. I've left my family back home and that is tough but I'm here to do a job and do it well," he said. Roca was confident of the kind of edge the two players would give to the squad. "Alvaro and Juan bring with them valuable experience of playing at the top level. They have played with and competed against some of the best players in world football and I have little doubt that they will give the team an advantage. They are good professionals and team players and will strengthen the squad before what is a crucial set of AFC Cup games," he said.